'Oorala' is an Aboriginal word that comes from the Anaiwan language. Oorala means camp, a place where people come together. This storyboard installation depicting Oorala's milestones is found in the Oorala entranceway. The Oorala Aboriginal Centre (originally known as the Aboriginal Resource Unit) was established to support the growing number of Aboriginal students at UNE. 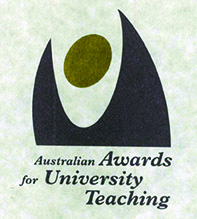 In 1985, the University made the decision to appoint an Aboriginal Research Fellow. Ms Lynette Riley commenced in the position the following year and the Centre officially opened in April, 1986. The purpose of the Centre was to provide an area for study, tutorials and contact between students enrolled at UNE. 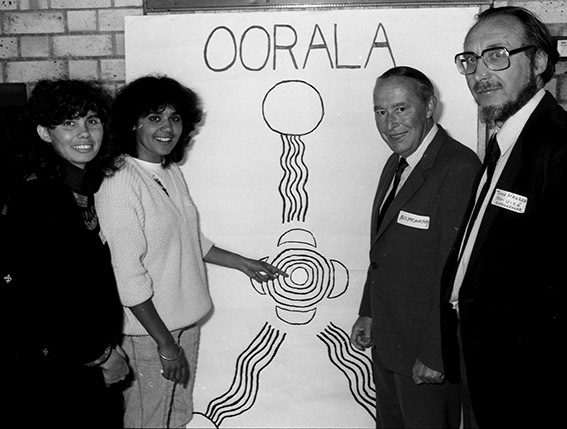 Early on in Oorala’s history the Oorala Lecture Series and the annual Frank Archibald Memorial Lecture were established. 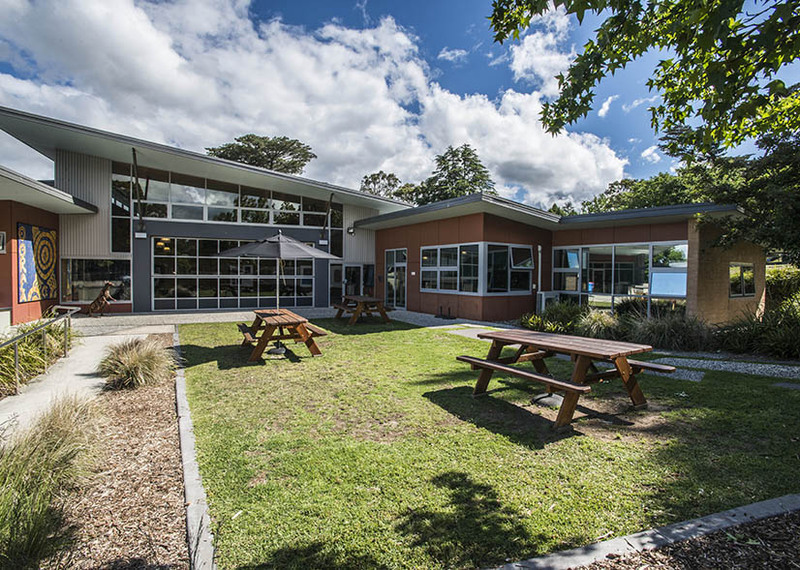 Oorala also supported the development and growth of the Yarm Gwanga Child Care Centre and the Ee-Ke-Nah hostel for Aboriginal university students. Aboriginal education has a long and proud tradition in Armidale and the New England. The Armidale Aboriginal community has been active in promoting equity and access to education for Aboriginal people for many years. This included organisations such as the Aborigines Education Foundation, founded in 1965 and programs such as the Graduate Diploma in Aboriginal Education started by the Armidale College of Advanced Education in 1980, which trained half of the Aboriginal teachers in NSW. university’s increased commitment to Aboriginal participation in education since 1986. 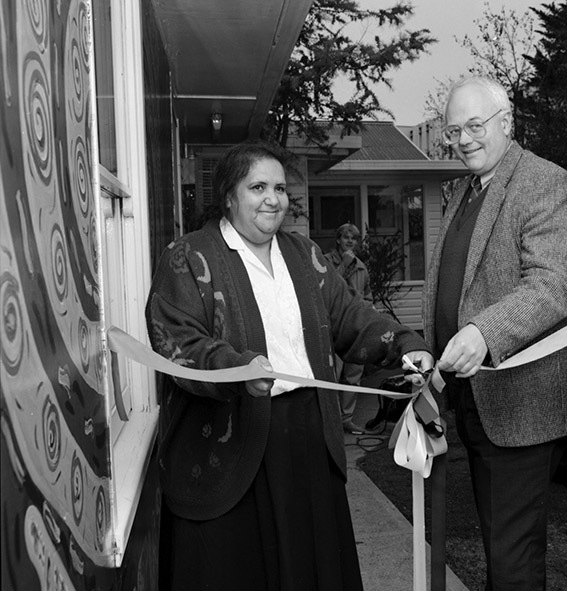 Originally located in the old Archaeology building the Oorala Aboriginal Centre briefly moved to a modest wooden hut, the Alluna Building, behind the Faculty of Arts, before finding a more permanent home on its current site in 1992, providing students with access to dedicated facilities, a common room and later a computer lab. 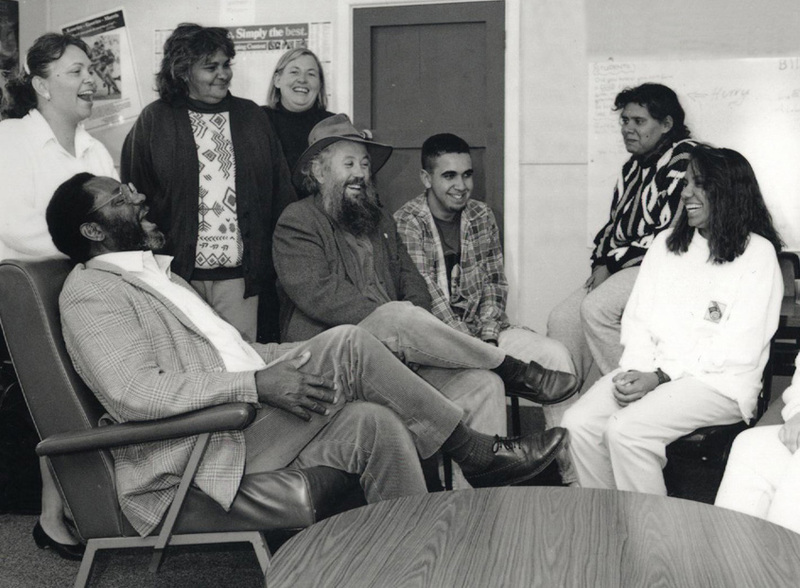 In 1993 the Aboriginal Resource Unit was renamed and became the ‘Oorala Aboriginal Centre’. number of Aboriginal and Torres Strait Islander students at UNE, which by the mid 1990s had reached 164 enrolments. people. All three programs are still running, 25 years later. The University continued to offer the popular Associate Diploma in Aboriginal Studies. 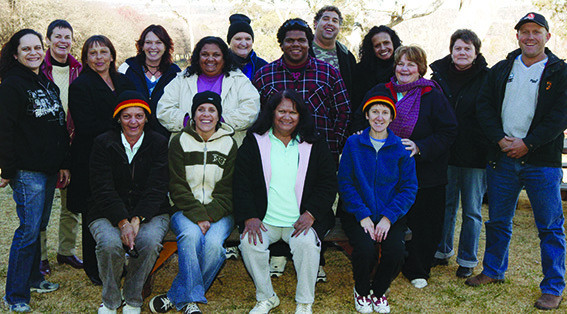 The course had 69 Aboriginal and Torres Strait Islander graduates between 1986 and 1997. Torres Strait Islander people in Correctional Centres in NSW and South-East Queensland 2007 Carrick Award to staff for outstanding contribution to student learning. learning spaces for staff, students and to support community engagement. 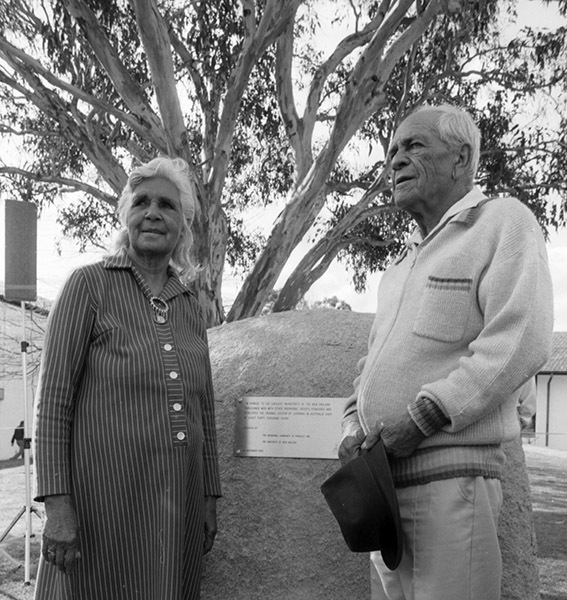 The new Oorala Aboriginal Centre was officially opened on 22 July 2008 by The Hon. Julia Gillard, MP, former Deputy Prime Minister and Minister for Education. incorporated into an increasing number of UNE disciplines. 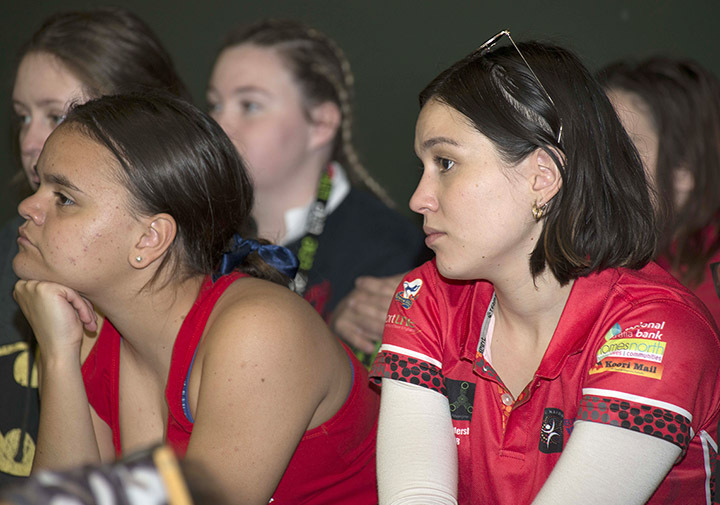 In 2016, recognising that high school students are our future leaders, the Aboriginal and Torres Strait Islander Oorala Youth program began with theintroduction of UNE Experience Days and the Youth Leadership Camps. in 2017 and has more than 20 staff working at the Centre. 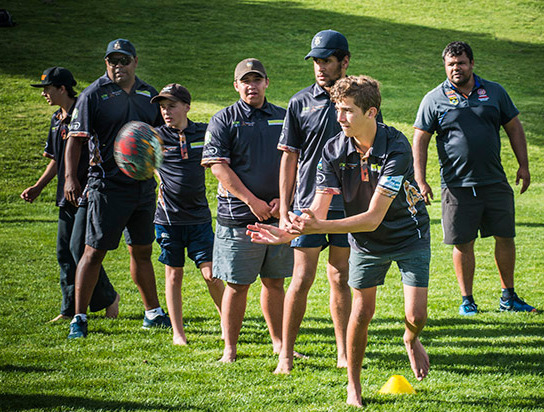 education through its Aboriginal Youth Leadership Camps and Experience Days. 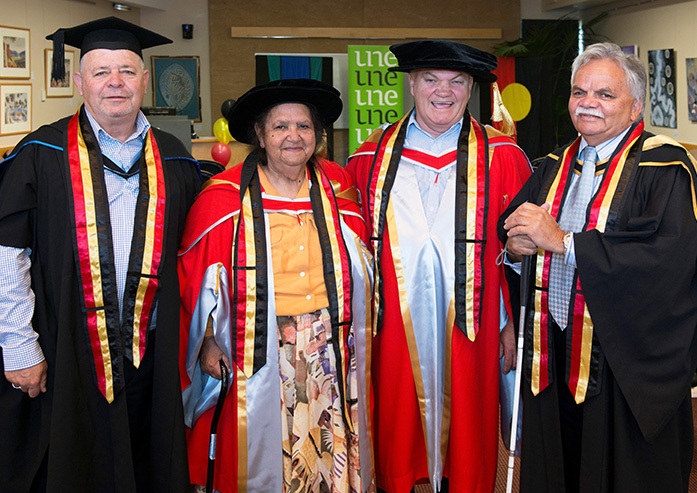 2017 saw Prof Jack Beetson and Mrs Dianne Roberts awarded Honorary Doctor of Letters honoris causa (HonDLitt), the first Aboriginal recipients of UNE Honorary Doctorates. Professor Beetson is honoured for his outstanding and ongoing contribution to adult education in Indigenous communities both in Australia and overseas. Mrs Roberts was nominated for her distinguished service to the Aboriginal community within the broader New England region as well as her continuing service to the Oorala Aboriginal Centre at UNE and Aboriginal education, generally.